Every office is clearly influenced by productivity, but the single most important factor in obtaining high levels of efficiency is the office environment. The office environment in itself, however, is heavily influenced by a large number of factors that together form a productive workplace. With this in mind, we’ve rounded up a list of these factors that hugely impact the working environment in terms of productivity. There is just something calming about the color green and calmness breeds productivity. A grey and bleak office environment has never benefited anyone, and injecting at least a little bit of natural life into the working area can go a long way in creating a relaxed and focused atmosphere. This is especially true for office spaces in large cities, where employees crave exposure to a more natural environment. In fact, employees working in offices with natural elements have reported higher well-being! Poor air quality can actually affect an individual’s concentration and even reduce energy levels, which needless to say, dramatically influences productivity. Even more importantly, improperly working air conditioning systems can cause health issues in employees, so checking the office A/Cs is essential. Additionally, using air filters is hugely recommended, seeing as how these tend to work miracles, especially for small office spaces. In any case, the relation between getting enough air and productivity is quite evident: the more oxygen goes to the brain, the more productive a person is. We all know how important sunlight is for mankind, but it is essential that you do not disregard its impact on productivity. For one, there simply is no light like sunlight – we’ve all grown up exposed to it and have adjusted to it over time. Therefore, it is extremely important that you supply your office space with an appropriate amount of sunlight – this will have a huge impact on your team’s efficiency. However, if the side of the building that your offices are on simply doesn’t get enough sunlight, there isn’t a whole lot that you can do about it. You can either try installing some wall windows, or opt for a skylight if you’re lucky enough to have your office at the top floor of a building. 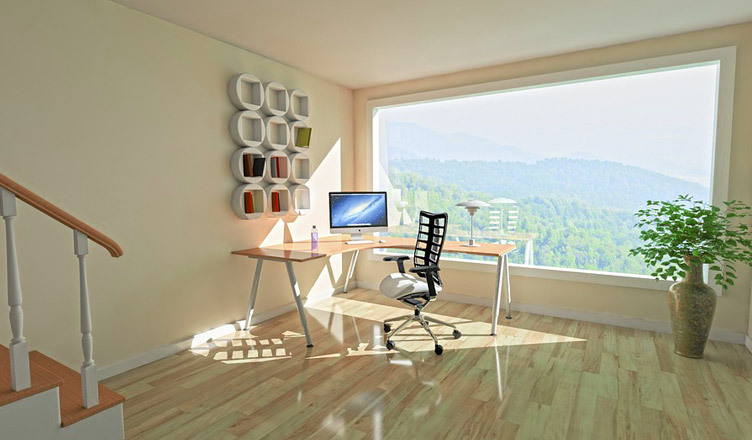 Bottom line: the more sunlight you obtain for your workspace, the more of a productive environment it will prove to be. Opting for a serviced office space in Sydney, for example, can land you with exquisite working areas overlooking the Supreme Court and Hyde Park, which, in addition to a set of fantastic views, means large windows with vast amounts of sunlight. As mentioned, lights have to be kept on in some office environments and while this is quite unfortunate for the environment, your pocket and productivity, there are some lighting fixtures that are preferable to others. For example, LED lights spend less energy, tend to pay off in the long run, but, most importantly, are as close to sunlight as artificial fixtures get, which means a great deal in terms of productivity. Of course, the CFLs are a valid alternative, although they aren’t nearly as efficient as the LEDs. Regardless of whether you’re still physically writing stuff down, or are used to spending your working hours staring at the computer screen, lighting plays a key role in productivity and, if your office space simply doesn’t support enough sunlight, you know what the next best thing is. These factors play a huge role in terms of efficiency within the working environment. Each one is quite logical and may even seem trivial, but one should not underestimate the human tendency towards neglecting even the most basic factors that make a healthy and productive working environment.